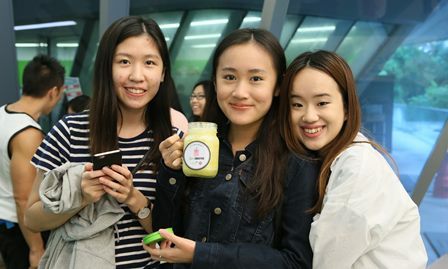 PolyU celebrated the Vegetarian Awareness Month on October by staging a ‘Veggie-week’ on campus – VeggieLicious. Events with a green theme including workshops, talks, cooking class, reading corner, fitness test, food-tasting demonstrations and a festive ceremony were held. 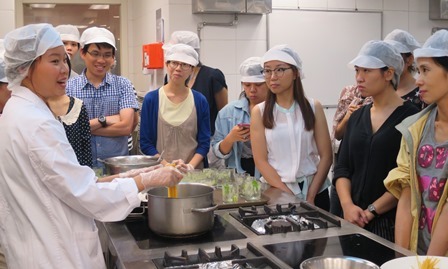 Speakers such as registered dietitians, fitness trainers, Chinese medicine practitioners and chefs came and discussed on a diverse range of topics from tailoring meat-free diets to environmental awareness and benefits of green sustainable living. Click here to read more about this interesting event.